Giving in memory of a loved one is a very special way to honour their life. 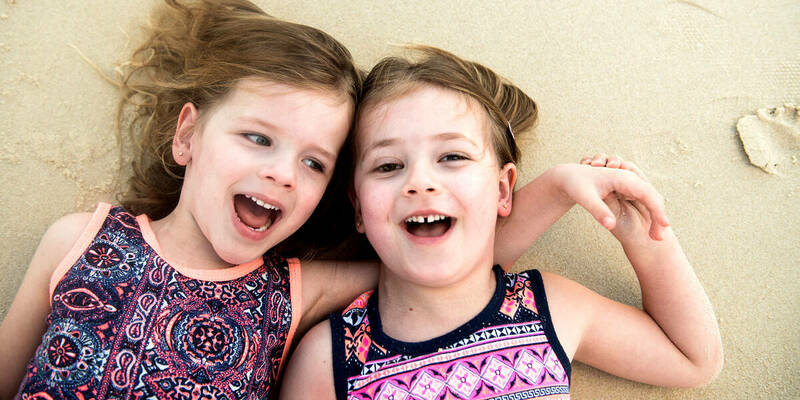 Your gift to Make-A-Wish will also make a world of difference to Australian kids with life-threatening illnesses. When you donate online, you can choose to give in memory of a loved one. Enter their name, and tick the box if you'd like Make-A-Wish to send a card to family members. Your name will be shared along with all other family and friends who have generously donated. We will also send you a tax receipt (all donations over $2 are tax deductible). Give others the opportunity make an in-memory donation. Creating a dedicated fundraising page can be a simple yet incredibly powerful tribute to a loved one. Create an 'In Loving Memory' page by following the prompts. Personalise your page by uploading any photos, videos and stories you wish to share. Share the link with family and friends, asking them to give in memory - and help make a world of difference for Australian kids with life-threatening illnesses. 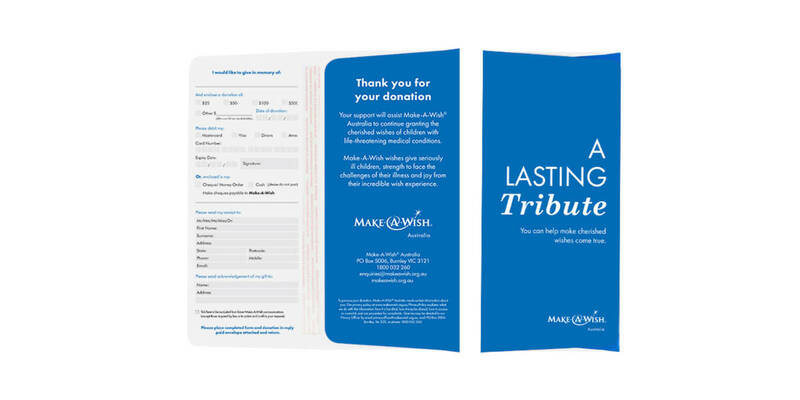 Donation envelopes are available to make collecting donations at a funeral or memorial service as easy as possible. Order your complimentary envelopes here or by calling us on 1800 032 260. Friends and family can then use the pre-paid envelope to send a donation directly to Make-A-Wish. We'll send you a personalised card acknowledging all the people who generously donated in memory. We will also send all donors a tax receipt (all donations over $2 are tax deductible). Isla, 4, neuroblastoma - I wish to see snow and catch a snowflake on my tongue. 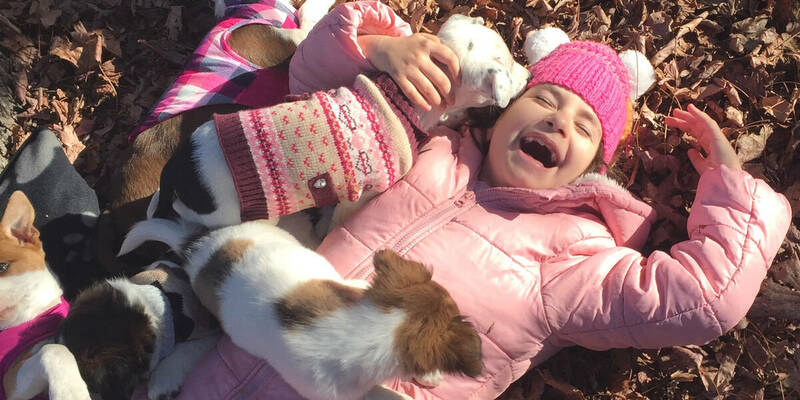 Dara, 7, Non Hodgkin's Lymphoma - I wish for the ultimate puppy experience. Audrey, 6, retinoblastoma - I wish to go to the snow in my own rocket.